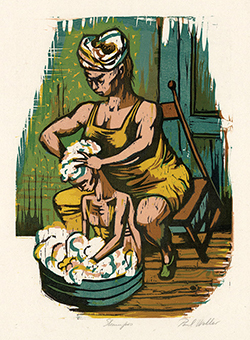 Shampoo- - c.1936, Color Woodcut. Image size 11 x 8 inches (279 x 203 mm); sheet size 14 3/4 x 12 inches (375 x 305 mm). A fine impression with fresh colors; the full sheet with margins (1 1/2 to 2 1/2 inches), on cream Japan. A soft, unobtrusive crease, to the lower right sheet corner, not affecting the image, otherwise in excellent condition. 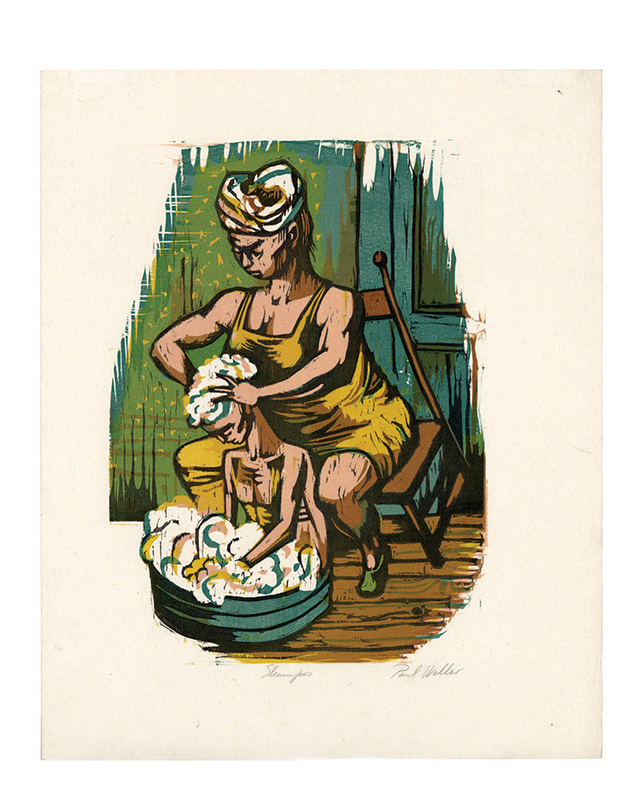 Collections: British Museum, Metropolitan Museum of Art, New York Public Library, Yale University Art Gallery.